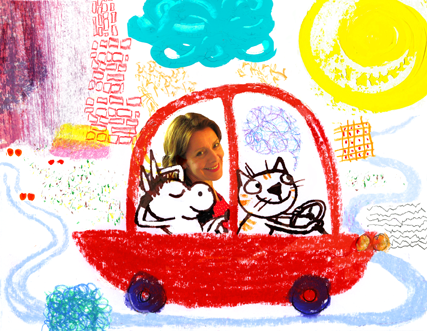 Bridging images by Bridget Strevens-Marzo: Booktrust Lifetime Achievement Award - ongoing! Booktrust Lifetime Achievement Award - ongoing! 'Ongoing' is my new watchword. 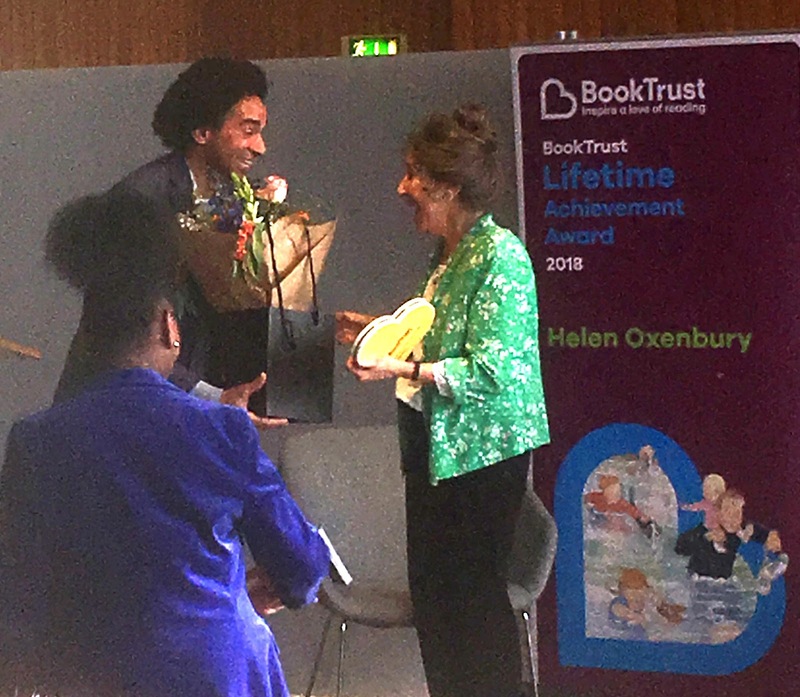 I've been moved to resume my blog - to record just a few of many inspiring pearls from the Booktrust Lifetime Achievement Award I was lucky enough to attend today. 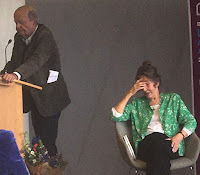 When John Burningham stood up to give his acceptance speech he mentioned that a lifetime achievement award sounded so FINAL when after 55 years he felt he was just starting! Having said that, he never dreamed he'd also have the pleasure of receiving flowers from Anthony Browne. He and Helen Oxenbury his wife, the joint Award winners, are not giving up. Not resting on what in their case are a tremendous pile of laurels! It should be called the 'Ongoing Lifetime Achievement Award'. Yet, though Helen Oxenbury confessed she almost felt guilty about how much fun she's had over the 50 years of writing and illustrating, it's not easy work. As John Burningham suggested it is the problems (like how to suggest in a picture, the smell made by a teenage elephant!) that keep us going. In her tribute to Helen Oxenbury, Nicolette Jones spoke of how was one of the first to really bring diversity into her lively, innovative warm work. Touching to hear John Burningham added later that he reckoned his wife Helen's Farmer Duck was some of the best work ever done! Anthony Browne talked about how John Burningham was one of a rare breed of a writer-illustrator who is both experimental and reassuring. He cited Come away from the water, Shirley as one example - a breakthrough book playing on the gap between words and pictures that really fires the child's imagination. 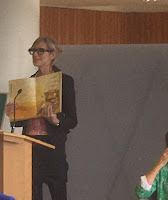 Lauren Child spoke of how Burningham's work changed her life. She quoted Helen Oxenbury saying about her husband and his book Seasons, how John 'throws anything at his work'. The creative freedom - true artistry - and how the work "makes you react with every part of you (including the part that is still a child) 'just as if you are looking at a Matisse or Bonnard'. Also how a book like Would you rather? creates bonds, generating conversations with old and young. It was great to see and hear poet (and our fellow picture book crit grouper!) Joseph Coelho talk about the importance of Helen's work for small children. 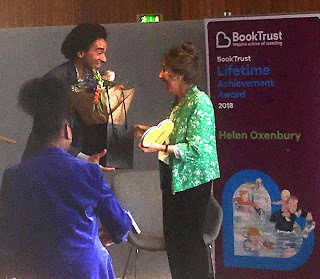 And I enjoyed writer and presenter Floella Benjamin's lively introduction which gave us a real sense of just how many children Helen Oxenbury reached with her books and how her work will live on. So much more I wish I had noted! 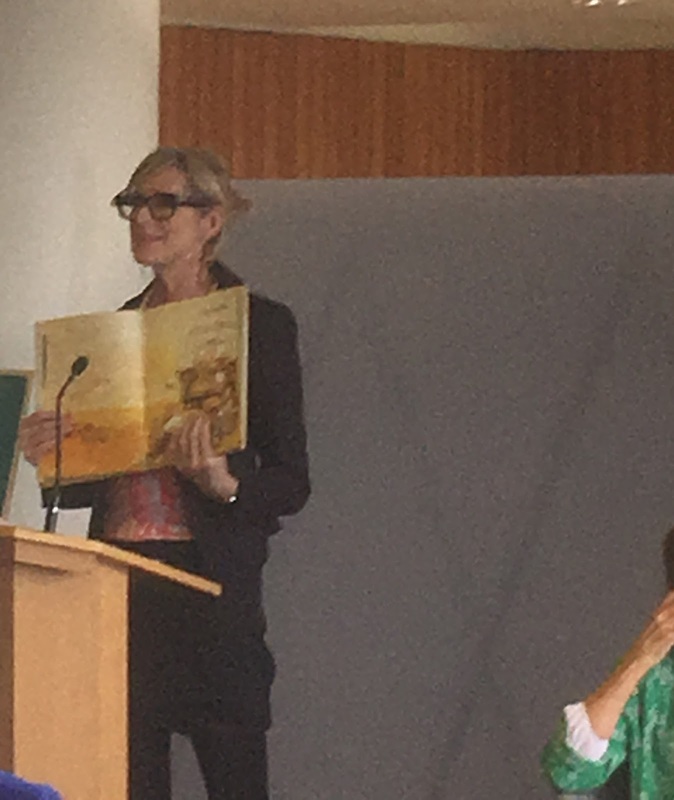 Huge thanks to the host and Booktrust CEO Diana Gerald, and to Natascha Biebow and the SCBWI for inviting me to an inspiring moment!